Do you enjoy singing? 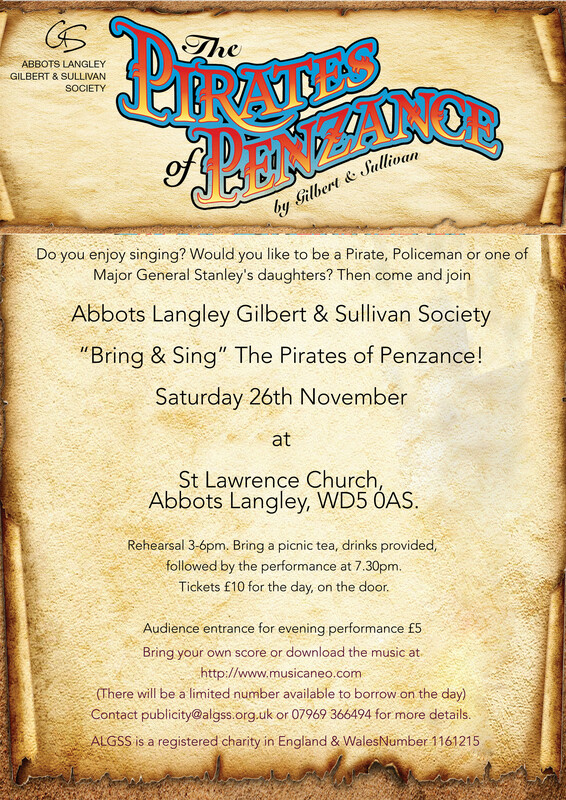 Would you like to be a Pirate, Policeman or one of Major General Stanley’s daughters? St Lawrence Church, Abbots Langley, WD5 0AS. Rehearsal 3-6pm. 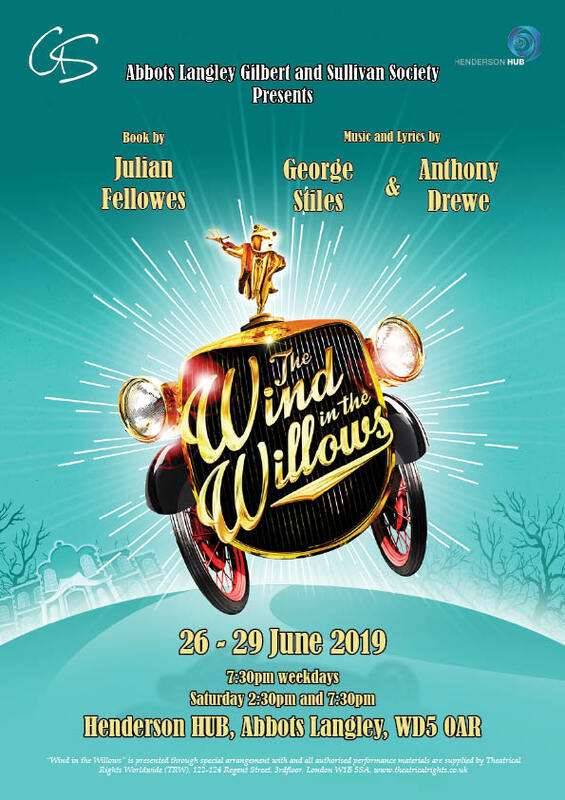 Bring a picnic tea, drinks provided, followed by the performance at 7.30pm. Tickets £10 for the day, on the door. Contact publicity@algss.org.uk or 07969 366494 for more details.